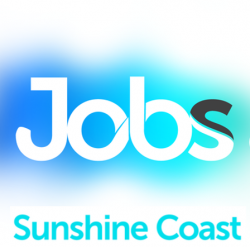 We currently have courses scheduled to commence in Feb and March and are looking for experienced and qualified Contract Trainers and Assessors to deliver CHC43015-Certificate IV in Ageing Support on the Sunshine Coast. Nth Brisbane and South Brisbane. We have AM and PM classes available. This could lead to ongoing contract work for the right person! ARC Training ( RTO # 91007) offers training of the highest standard. We are at the forefront of helping people achieve real & practical skills which enables them to make career development easy. Our blended approach includes on the job learning, face-to-face training and simulated work placements. We are always on the lookout for trainers to deliver CHC43015-Certificate IV in Ageing Support and CHC33015 – Certificate III in Individual Support (Ageing or/and Disability or/and HAC) in other QLD locations. “Please note that all applications both internal and external will be treated equally and appointment into this position will be based on merit”. Appointment to this position is subject to passing a Working with Children check and having FULL working rights in Australia. Only shortlisted candidates will be contacted. Job Categories: Education and Training. Job Types: Part-Time. Occupation: Clerical & Administration.